In a new weekly blog, DWF's founder Kendra speaks from the heart about her decision to leave Fresno in the midst of creating a magazine based on her love for the city and surrounding Central Valley. (Yes, it's confusing to her, too.) But above all, she's committed to continuing the magazine's mission. And instead of dwelling, as it is best not to do, she's celebrating the ways her new city reflects her hometown, and how Fresno is never really that far away. WORLDS COLLIDE IN NORTH FORK / In the exact center of California, as the town of North Fork bills itself, over the long Memorial Day weekend, my two worlds collided. Maybe collided is too harsh a word, as it indicates an impact of notable force. I guess a gentler word like converged is a better way to describe how Seattle and Fresno came together over 36 hours in one of my favorite places in Central California, if not, the entire West Coast: Bandit Town. When I visited Bandit Town for the first time last summer, while still living in Fresno, it stole my heart. So, of course, whenever music or festivals or camping was brought up in conversation after I moved to Seattle, I couldn't help but talk about this awesome ghost town in the hills above Fresno where you can camp and drink and mingle with some of the coolest people while dancing to some of the best country music around. And people were intrigued. More than intrigued, they wanted to go! So we did. Fifteen hours on the road later and we were there. It was just like I remembered. And while I was falling in love with Bandit Town all over again, I also got to watch a new love story unfold between my friends from the Pacific Northwest and this dusty old haunt hidden in the foothills that had surrounded me all my life. Seattle and Fresno would continue the sweetest two-step with each other for the rest of the weekend. One of my closest friends from Fresno came up for a day and got to meet my new pals. On Sunday, more familiar faces arrived and filled me in on all the Fresno happenings. 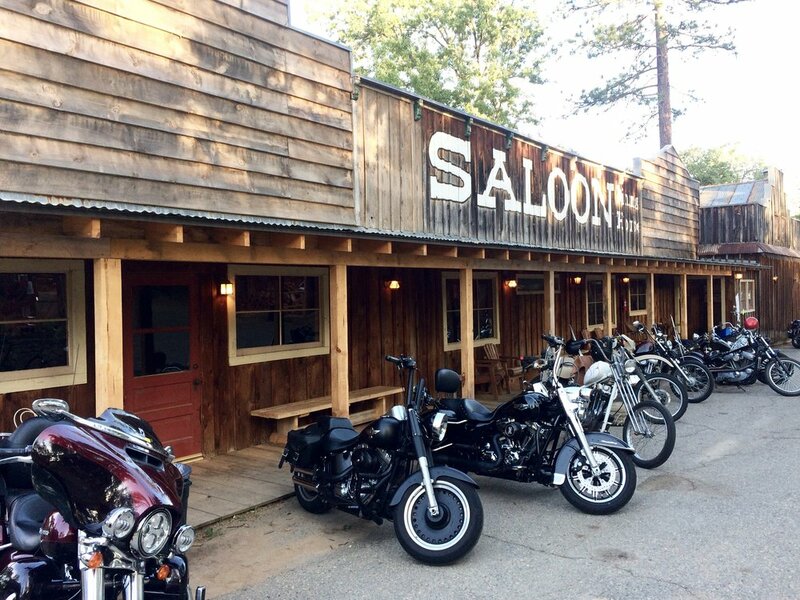 And, as everyone mingled on the deck of the saloon overlooking the grounds -- the bog, the scattered tents, the logs used for hatchet throwing -- as is customary at Bandit Town, it became clear my friends and I weren't the only ones there from Seattle. I was happy to get the lowdown on Seattle venues that cater to a Bandit Town sort of crowd from a Seattle-native named Elias -- who will forever stick in my mind as a cross between Hunter S. Thompson and Matthew McConaughey because of his Hawaiian shirt, Seventies sunglasses, cowboy hat, and likable bravado. Leave it to Bandit Town to bring together my past and my future, and allow them to both be present at the same time. That's just the kind of magic that happens up there in the hills.